Right now there are two competing narratives in Washington about Robert Mueller. The first one, pushed by Paul Manafort and various members of the GOP congressional caucus, is that the special counsel is a loose cannon, accountable to no one and way over the line in his limited authority under a Department of Justice order appointing him to the job. The other, which has a much broader constituency in the capital and beyond, is that he’s playing by the rules. The first narrative, which Manafort has been trying to sell in recent months to a federal judge in the District of Columbia, is not faring so well in the light of some new revelations over the past several days. You know you’re on the ropes when the judge, during a hearing to dispose of your (frivolous) civil lawsuit against the special counsel, calls you out: “I really don’t understand what is left of your case.” That’s what U.S. District Judge Amy Berman Jackson told Manafort’s lawyer in open court Wednesday, according to Reuters. Kevin Downing, the lawyer, is worried (and expressed those concerns to Jackson) that his client may soon face a new round of charges from Mueller. The civil lawsuit is an effort to challenge the scope of Mueller’s authority, and thereby limit Manafort’s legal exposure. But recent court filings by the special counsel’s office in the Russia saga paint a picture very different than the one Manafort’s legal team is trying to sell: Mueller is hewing closely to his mandate to investigate links between the Kremlin and the Trump campaign, and into whether crimes against the United States were committed in the process or in response to any subsequent investigation. A CNN report published Wednesday that Mueller’s team has obtained “search warrants to access electronic devices” of U.S.-bound Russian oligarchs suspected of making illegal campaign donations to the Trump campaign seems to fall squarely in line with why we have a special counsel in the first place. Mueller just won’t stop turning up the heat. And yet the unknowns remain. With so many of them, and the special counsel not talking, Trump’s most ardent apologists, such as Devin Nunes, continue to beat the drum that “this Russia thing,” as the president once called it, has run amok or that it was corrupted from the start. But in all likelihood that’s just noise, meant to create doubt about the special counsel’s own quiet resolve. 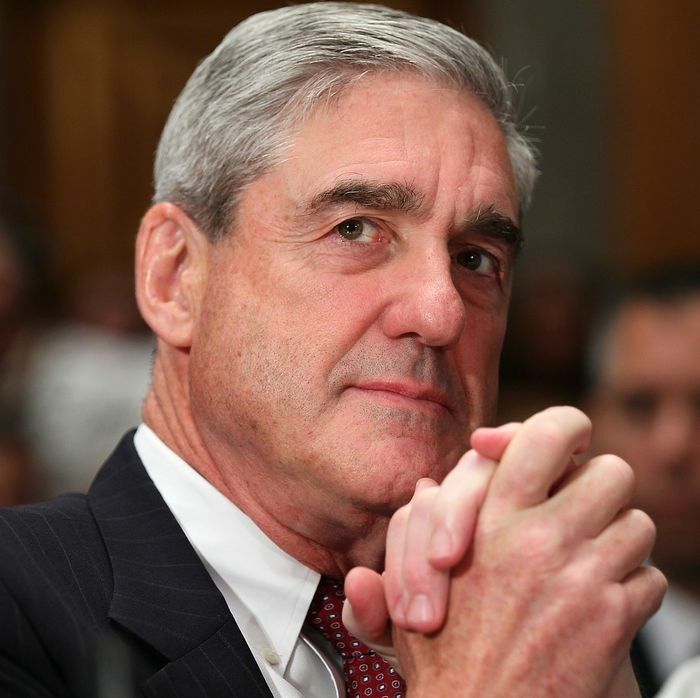 In a little-noticed court document filed late Monday, Mueller himself, through his deputies, gave an accounting of the complex web of statutes, regulations, and Department of Justice policies working in tandem to ensure that Mueller’s work stands on strong legal footing. Responding to a separate Hail Mary motion by Manafort seeking dismissal of one of the indictments against him, Michael Dreeben, Mueller’s second-to-none criminal-law expert, mopped the floor with arguments that the special counsel is somehow unauthorized to go after Trump’s former campaign chairman for a series of financial crimes. “Accountability exists for all phases of the Special Counsel’s actions,” Dreeben and others in Mueller’s office asserted in their response to Manafort’s last-ditch motion. The filing is long but well worth the read, if only to get a better sense of Mueller’s case-in-chief. Its biggest surprise, though, was an attachment from none other than Rod Rosenstein, Mueller’s direct supervisor. It turns out that last August, three months into Mueller’s appointment, the deputy attorney general — who for purposes of the Russia probe serves as the acting attorney general because Jeff Sessions is recused — sent a memorandum to the special counsel outlining the scope of his authority. A big chunk of it is classified, so we may never know, or won’t know for some time, what the memo says. But the part that is public states unequivocally that Mueller has a green light to investigate whether Manafort “committed a crime or crimes by colluding with Russian officials” in the run-up to 2016, and whether he engaged in wrongdoing stemming from his lobbying work with Russian-backed political actors in Ukraine. In criminal law, that disclosure provides a rough outline of what’s known as the theory of the case — the set of facts and legal authority to support a prosecution. But what’s remarkable about it is that, as presented by Dreeben and Mueller’s office, this doesn’t at all come across as some wild theory being pursued by an overzealous, overreaching prosecutor. If these filings tell us anything, it is that Mueller is running a tight ship and that he’s keeping in close contact with Rosenstein to make sure that everything is being done by the book and according to law and departmental procedures. “For additional matters that otherwise may have arisen or may arise directly from the investigation, you should consult my office for a determination of whether such matters should be within the scope of your authority,” Rosenstein tells Mueller in the August memo. That was a long seven months ago. Public reporting since, that federal prosecutors have subpoenaed records from the Trump Organization and are now going after Russian oligarchs, to name just two developments, indicates that there may be other such written exchanges — or “non-public dialogue,” as Dreeben characterizes it — between Rosenstein and his appointee that haven’t seen the light of day. Think of them as two longtime federal prosecutors talking shop about what is or isn’t appropriate to investigate. If there’s someone in the federal law enforcement apparatus who knows a little bit about propriety, it’s these two. Flowing from this same set of authorities — which include direct oversight from Rod Rosenstein, the person Mueller consults with for all “significant events” in the Russia probe — is the special counsel’s growing interest in sitting down with Trump face-to-face. As the Washington Post reported late Tuesday, lawyers for the president have been informed that their client is a “subject” in the growing inquiry, and Mueller may even release a report on whether the president tried to thwart his or the FBI’s investigative efforts. That Trump is considered a subject is simply prosecutor-speak for the fact that Trump is a person of interest in an ongoing law enforcement matter — he’s more than just a witness to potential crimes and less than a full-blown target of a criminal investigation. But even such basic questions could prove disastrous for the president, who isn’t exactly a model of truthfulness or modesty when placed under oath. He may be damned whether he claims he did or didn’t know about these things: Any prosecutor worth his salt, and Mueller is one, would be ready to put a document in front of him or someone else’s testimony to contradict him or refresh his faulty recollection. And a lie under those circumstances would be a federal crime: Alexander van der Zwaan, the former Skadden, Arps lawyer who consorted with Rick Gates during the campaign and knew about the Trump deputy campaign manager’s contacts with a mysterious Russian believed to be a spy, got sentenced on Tuesday to 30 days in jail precisely for lying to the special counsel about his knowledge about all of this. The sentence may seem like a slap on the wrist, but there’s a lot we don’t yet know about van der Zwaan’s role that could be of import to the larger probe. Oh, and ahead of the sentencing, one of Mueller’s attorneys filed a curious notice advising the court that the U.S. government intends to enforce a provision of van der Zwaan’s plea agreement that prevents him from requesting government records related to his case “for the duration” of the Mueller investigation. Speculate away.